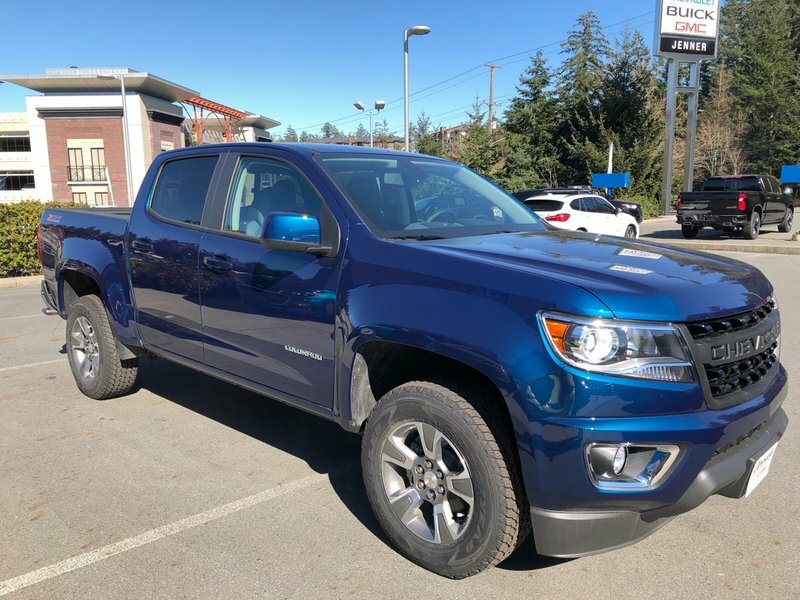 A capable and luxurious mid-size truck that will impress you with its power and utility, our 2019 Chevrolet Colorado Z71 4X4 in Blue Metallic is an ideal choice for you! 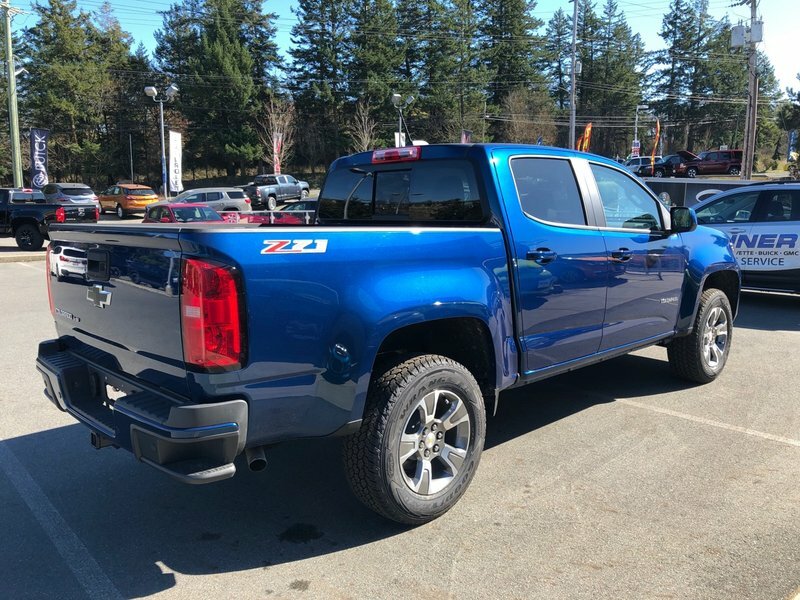 Powered by a 3.6 Litre V6 that offers 305hp while connected to a responsive 8 Speed Automatic transmission for easy passing maneuvers. 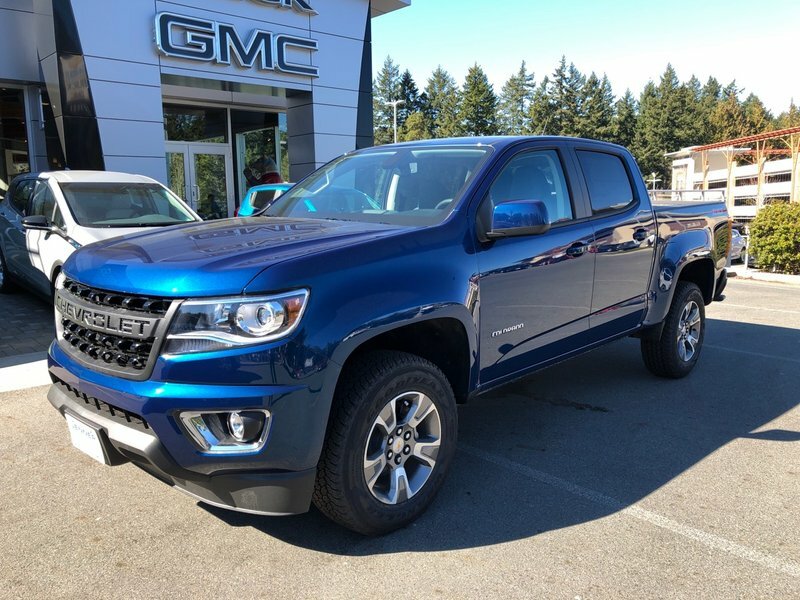 Our Four Wheel Drive truck offers smiles for miles with all-terrain tires, an off-road-oriented suspension, and an automatic locking rear differential that helps score up to 9.0L/100km on the highway. 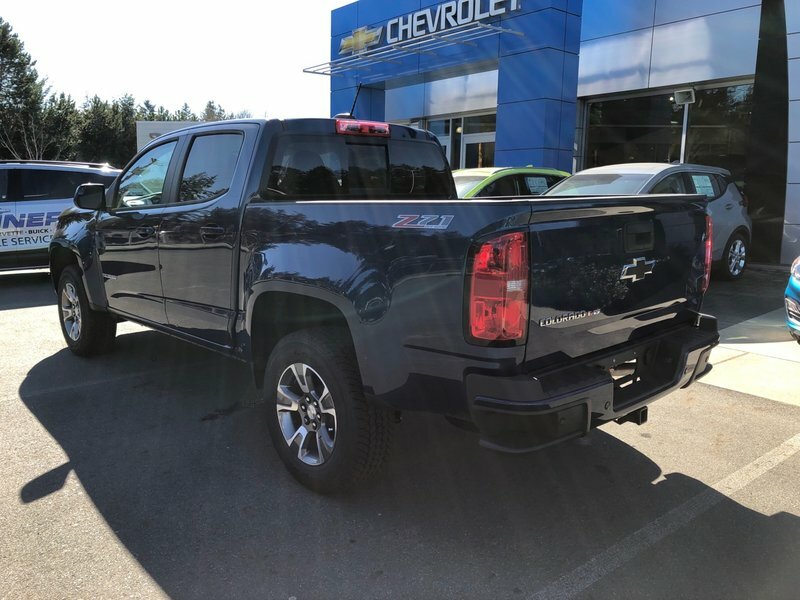 Check out the Dark Argent wheels on our Z71! 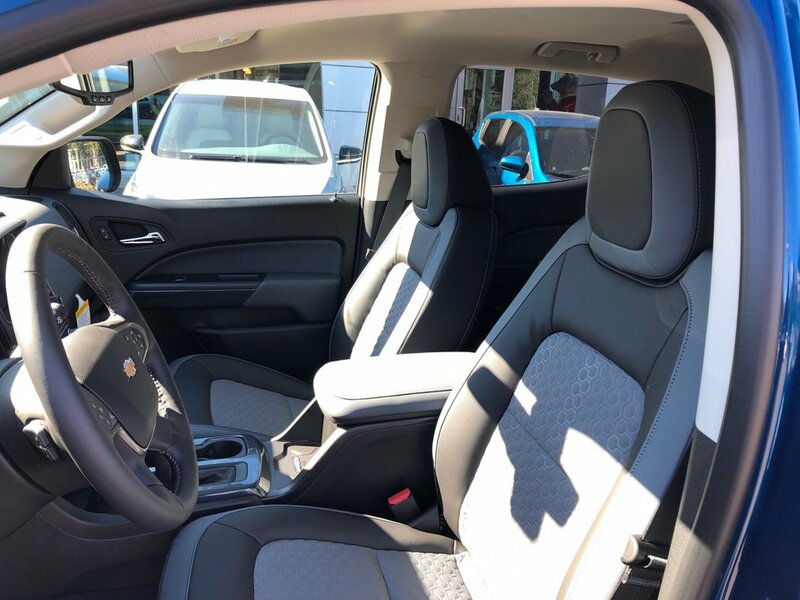 Take your place in our Z71 and enjoy the power adjustable heated driver seat and notice the high-quality cabin and abundant space. 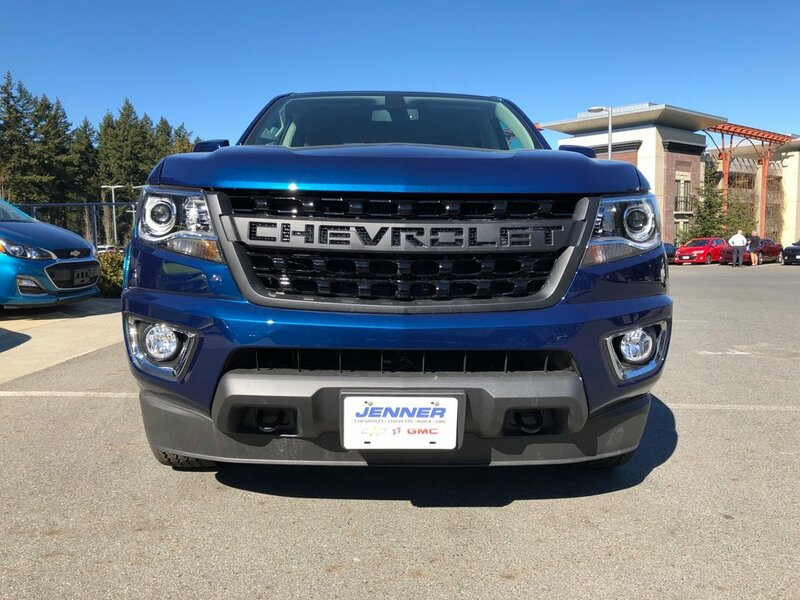 Enjoy remote vehicle start, automatic climate control, power windows, a rearview camera, and a multi-color driver information display. 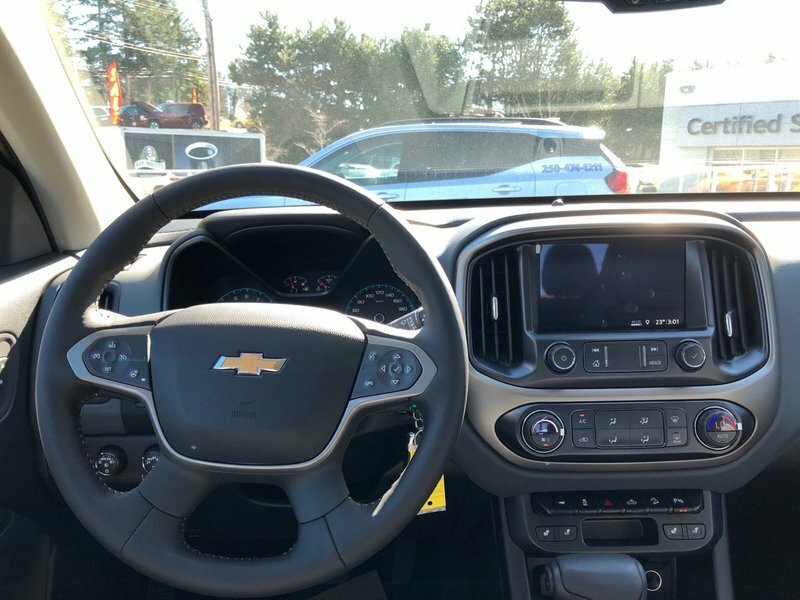 Chevrolet MyLink features voice-activated technology, a colour touchscreen, AM/FM, available satellite radio, 2 USB ports, Bluetooth, Apple CarPlay compatibility, and available WiFi, so staying safety connected is easy.